Originally, Android Things was Google’s stripped-down version of Android for everything smaller than a smartphone or smartwatch. The goal was to have the OS be the IoT version of Android, but rather than the skinnable, open source version of Android that exists on phones, Android Things is a “managed platform”—a hands-off OS with a centralized, Google-managed update system. Just like Windows, manufacturers would load an untouched version of the OS and be restricted to the app layer of the software package. Today, legions of IoT devices are out there running random operating systems with basically no plan to keep up with security vulnerabilities, and the result is a security nightmare. The wider Android ecosystem doesn’t have a great reputation when it comes to security, but Android Things updates are completely managed by Google via a centralized update system, and just like a Pixel phone, devices running Things would have been some of the most up-to-date and secure devices available. Seeing Android Things undergo a major pivot now is pretty strange. The OS has just survived a lengthy initial development cycle (originally, Android Things started out as a rebrand of “Project Brillo“), and it only hit version 1.0 nine months ago. 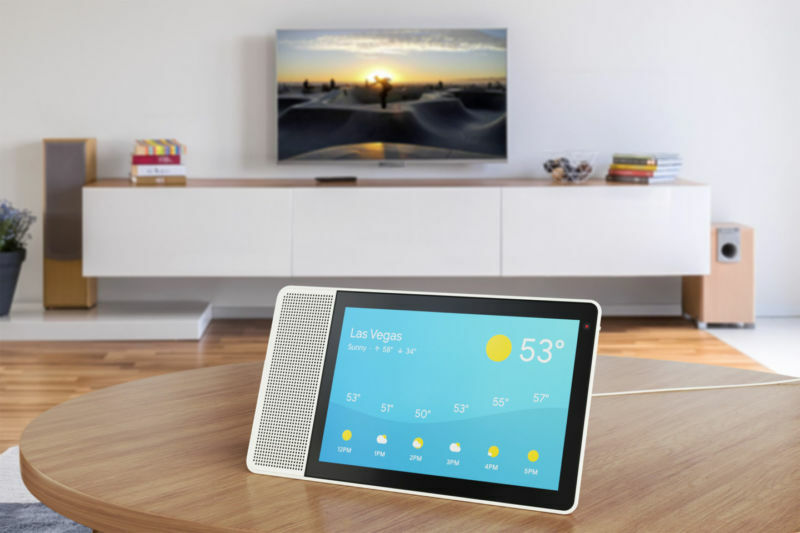 The first consumer products with Android Things, third-party smart displays like the Lenovo Smart Display, only launched in July.